I made pumpkin bread the first week we had our Inn, and I made it the last week we had our Inn. I lost count of all the loaves my staff and I made over the years. This was originally my mother’s recipe, and while she always left out the nuts, I always add them, loving the walnut flavor with the pumpkin. This recipe was originally published in the Visiting Nurse Service Auxiliary Cookbook sometime in the 1960s with credit given to Mrs. William Schulte. Today I give Carolyn all the credit she deserves for passing this recipe on to me. Enjoy! It’s fall! Mix together flour, sugar, cinnamon, nutmeg, salt and baking soda. Add corn oil, water, eggs and pumpkin. Pour into 3 large loaf pans which have been well greased and floured. Bake at 350 degrees for 1 hour. Insert a toothpick; it should come out clean. Let cool for 1 hour. These loaves freeze well. 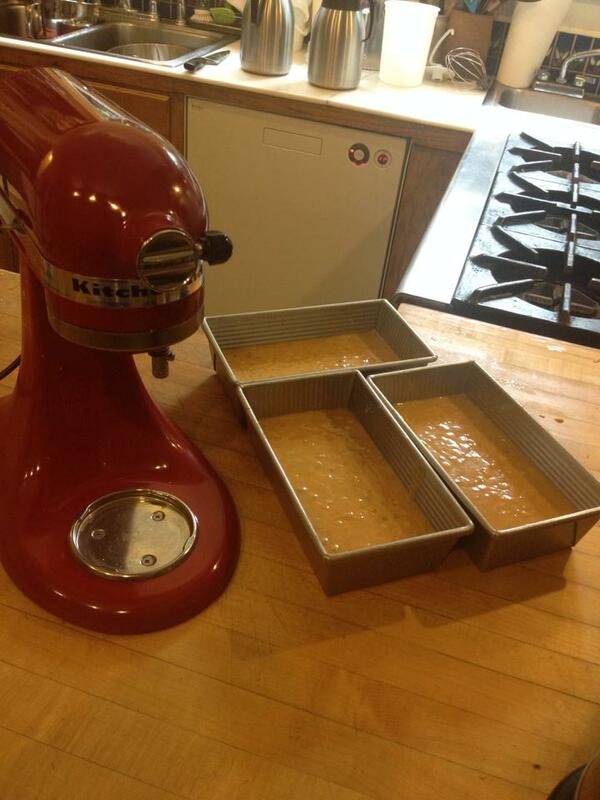 This entry was posted in Muffins Scones and Breads, Sweet Breads by admin. Bookmark the permalink.